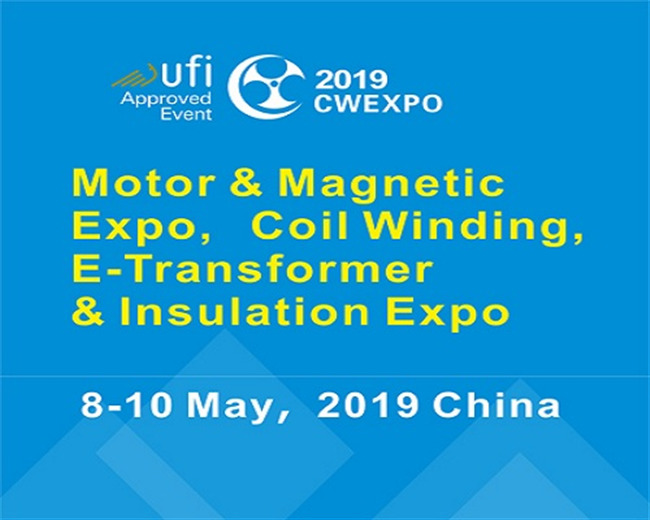 The 17th Shenzhen (China) International Small Motor, Electric Machinery & Magnetic Materials Exhibition (Motor & Magnetic Expo for short), 2019 Shenzhen (China) International Coil Winding, Electronic Transformer & Insulation Materials Exhibition (CWEXPO for short) will be held at the Shenzhen Convention & Exhibition Center on May 8-10, 2019 and more than 30 conferences and forums will be held during the same period. It is a unique exhibition of industry approved by UFI (The Global Association of the Exhibition Industry). The exhibition collaborates with industry association, academy and related organization to build a superior industry platform for enterprises to exchange and cooperate. Motor, household appliance and industrial electrical equipment, automobile, industrial automatic equipment, of?ce automation, power supply, transformers, coil, electrical equipment, electron, electroacoustic device, radiator, machine tool, dies, ?exible unit, mobile phone, aerospace, Military equipment, printing, packaging machinery, application industry association, importers and exporters, kinds of research personnel, etc.